Make sure your air conditioner is completely turned off. You most likely have a circuit near your unit that includes an on/off switch. At this time, you’ll want to set it in the off position to prevent your unit from kicking in on any days that are abnormally warm compared to the season’s usual and expected temps. Check the exterior of your unit for any leaves and debris. Especially if you’ve had your lawn landscaped lately, you need to make sure that the dust and any grass clippings haven’t gotten caught in your system. To eliminate these completely, rinse with your hose and then allow your air conditioner to dry. Place a sturdy piece of plywood on the top of your unit. Covering your air conditioner is an extremely important part of the winterization process because it will help prevent the dirt and debris we mentioned above from slipping into your system over the next few months. 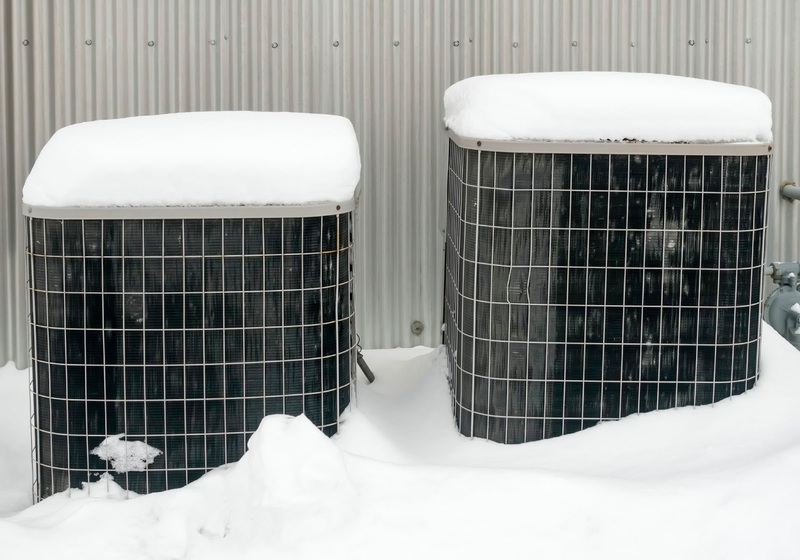 Furthermore, this can help protect the interior and exterior from winter weather conditions such as snow and ice, which can be pretty damaging to an outdoor A/C. Considering that your air conditioner is a huge investment and one that you would like to see last, it is imperative that you take care of it all throughout the year – even when you think you don’t need to pay too much mind to it. If you have questions about how to care for your air conditioner this winter or are concerned that your system acquired some damage this past summer, don’t hesitate to give Airtech of Stamford a call at (203) 323-3959. We have been providing exceptional HVAC services to customers in Stamford, Greenwich, Darien and New Canaan, Connecticut for over 50 years and would love to help you next. Previous Previous post: Why Call Airtech of Stamford For Your Heating Needs?